KuCoin aims to unravel what blockchain can contribute to the world to make it fair to everyone. And today, they are proudly announcing the listing of another decentralized project that they believe can offer greatness, especially to the hotel and accommodation industry. 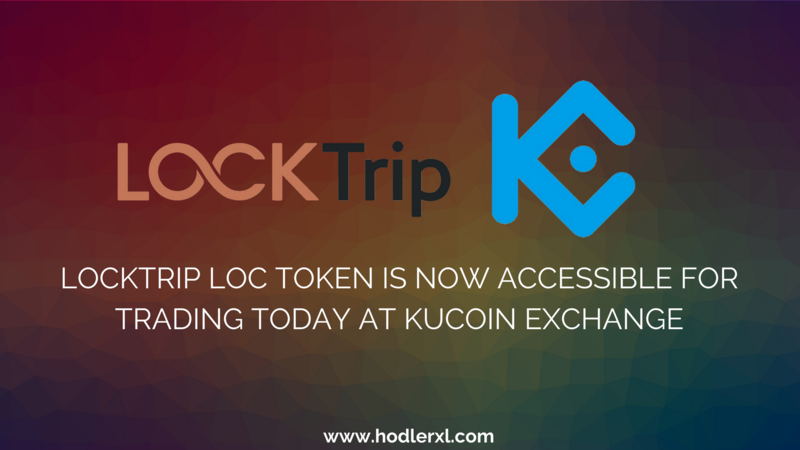 Locktrip LOC token is now part of their platform. The LOC token is available for deposit with trading partners such as LOC/BTC and LOC/ETH. Buying starts at 19:00 UTC+8 and selling/withdrawal at 20:00 UTC+8. the first system which enables end customers and property owners to administer a with each other on the network without any fee or commission. As an addition, they have built LockTrip.com, which is the first marketplace/application that will connect with the decentralized engine. The decentralized system will hold the LOC booking ledger which will be the center of the engine. By launching its native token and decentralizing the ledger of hotels, LockTrip intends to solve a long-standing problem, how to secure online bookings cheaper and transparent, while retaining the speed and safety of all the processes associated. LockTrip approaches a problem that has been present for many years. Perhaps it has been under-the-radar due to price-gouging, anti-competitive practices, and pernicious agreements that have been forced on hotels by those who dominate the Online Travel Agency market.